You know I am a huge fan of the Crazy Cups line and how many specialty flavors they offer; however, I was recently introduced to their ground coffee flavors and they are just as delicious as the cups, but gives me the ability to make a full carafe of the fantastic flavor. 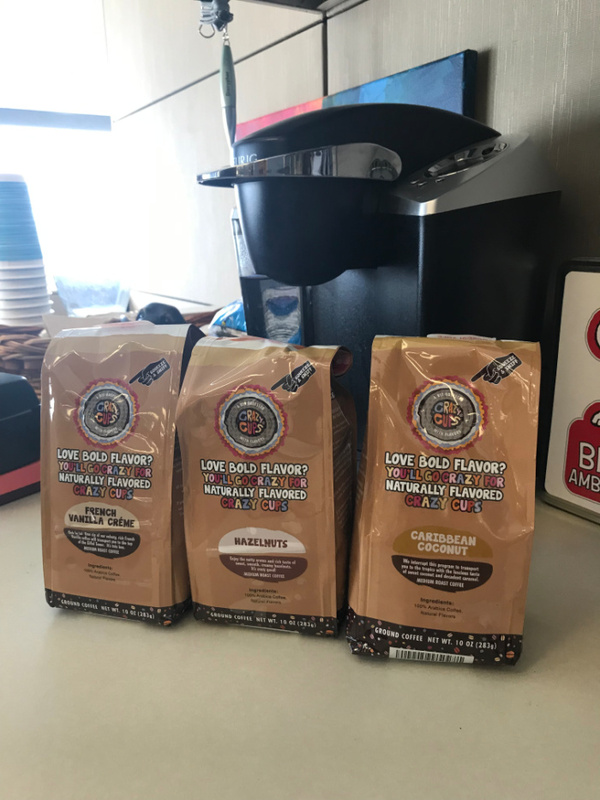 Crazy Cups line of gourmet flavored ground coffee has the same intense, robust taste as their individual cups, but gives you the ability to make more than one cup at a time. With no sugar added, each bag is gluten, lactose, sugar free, non-dairy, vegan and kosher. Only nothing by natural flavorings are used. 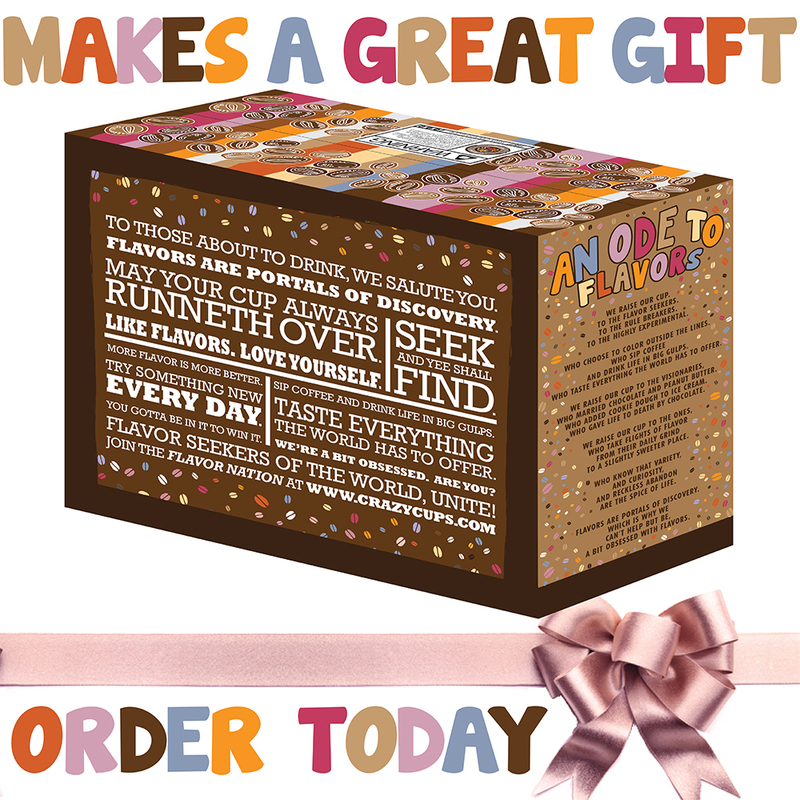 This box set came with classic flavors everyone in the family loves including Caribbean Coconut, French Vanilla Creme and Hazelnuts. It is also available in decaf for a great end to a perfect dinner.